One July day in 1988, a group of avid cyclists decided that it would be fun and challenging to ride from Evergreen to Vail, Colorado. And so it was. 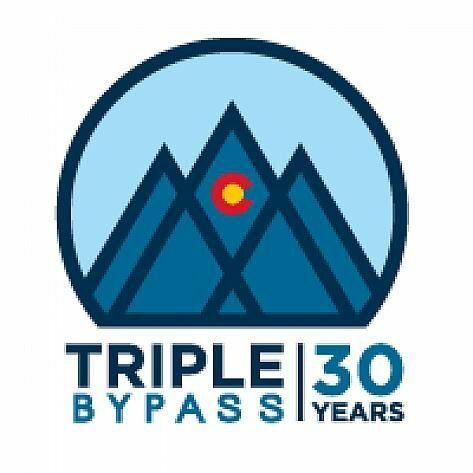 Thirty years later and thousands of more friends beside them, the Triple Bypass is an epic bucket-list ride that has donated millions to charitable non-profits. The Triple Bypass travels over gorgeous mountain passes (we limit vehicular access on many roads for your safety and comfort) and on bike paths. You will ride with thousands of your friends, snack yourself silly with 5 aid stations and finish it all off with a catered feast and expo. Wondering about the Double Triple Bypass from Evergreen to Avon and back again? In celebration of our 30th Anniversary, we are going back to our roots and offering the classic single day version only. Worry not, as with Frosty the Snowman, it will be back again some day. For our 30th we are offering 2 NEW shorter ride distances in addition to our standard Saturday ride. The shorter routes follow the current course and finish with all the classic 120 ride. All riders receive a coveted jersey, stocked aid station support, catered finish-line meal, free beer or beverages, and the satisfaction that you have completed something incredible. With your Triple Bypass registration fee, you'll be treated to the one of the best-supported cycling event you've ever experienced. Over 700 volunteers work hard to make your ride as enjoyable as possible. The ride is fully supported and assisted by local and state law enforcement, ambulance services, and many non-profit organizations. The ride forges through four counties and the local law enforcement assists Colorado State Patrol providing safety along the way.